Sweet corn is a summertime staple here in Ohio. We grow our fair share of corn here and the harvest is typically near the end of summer. Whether it is steamed or grilled, the corn is abundant, sweet and delicious. I am a big fan of the grilled version. My default for grilling is to remove the husk and painstakingly remove the strands of corn silk. Then I butter, salt and pepper the corn, wrap in a double layer of aluminum foil and grill for 20 minutes, giving it a quarter turn every five. I have also soaked the corn for 30 minutes, pulled back the husk to remove the silk then tie it back in place after the butter, salt and pepper. That one goes right on the grill. This recipe calls for putting the corn right on the grill to blacken it up some. While I haven’t done it before, I will certainly do it again. Great taste. An interesting mix of items. Post grill. 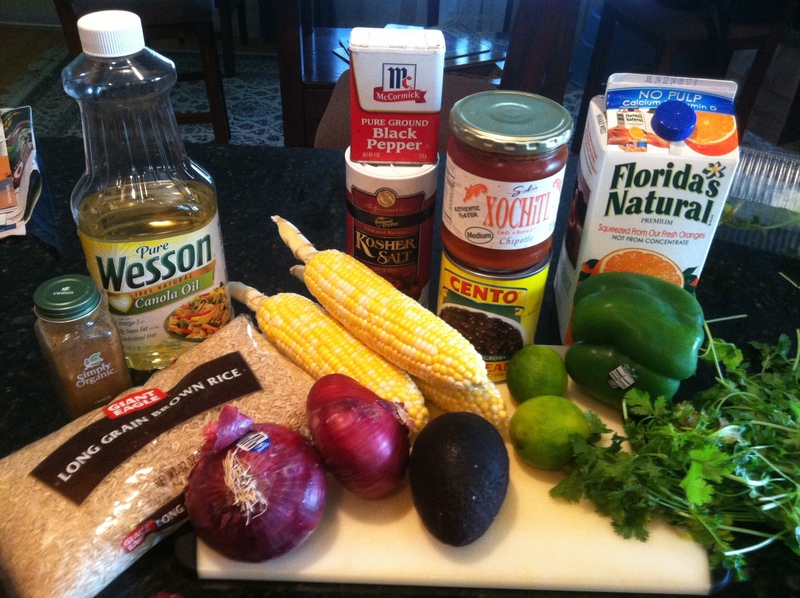 Look at that corn….nom. 1. Cook rice according to directions. . Drain and rinse. Place in a large bowl, toss with beans and set aside. 3. Oil the grill rack (see Tip). 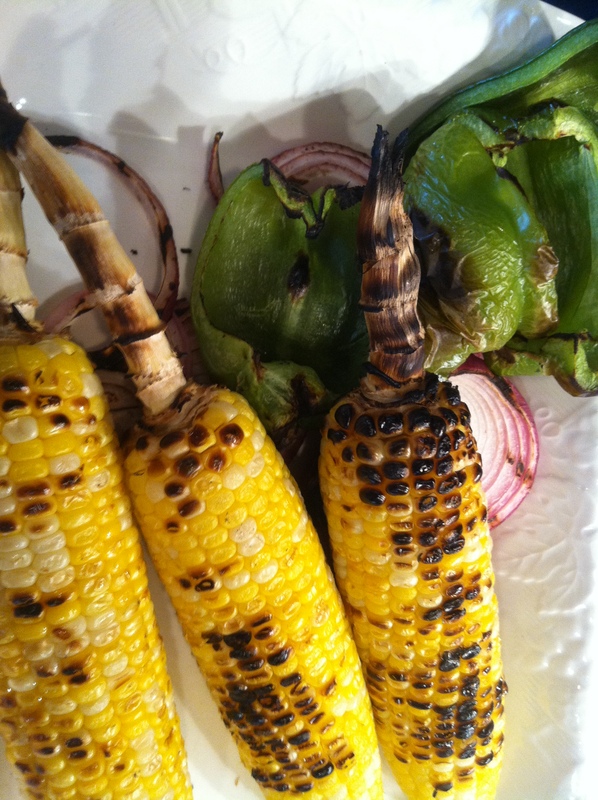 Grill corn, onions and bell pepper, turning frequently, until tender and charred, 10 to 12 minutes. 4. 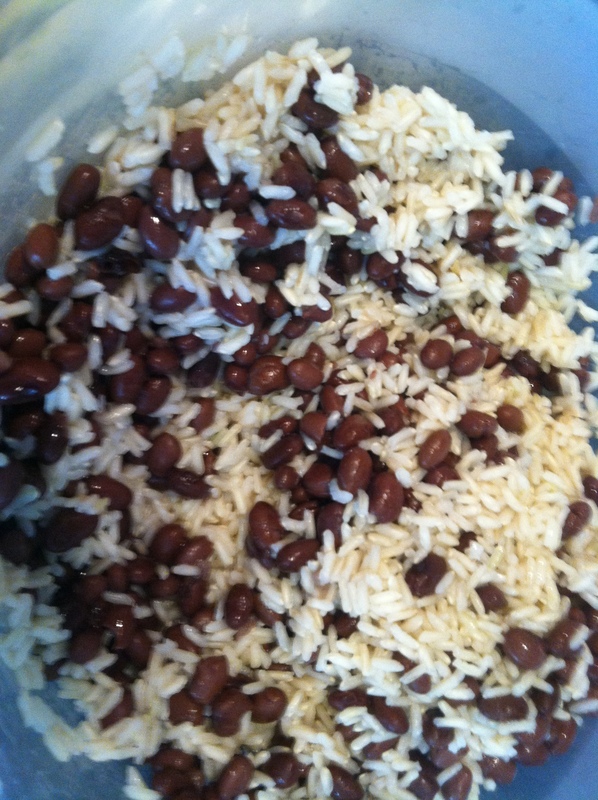 Cut kernels from cobs (see Tip) and add to reserved rice and beans. Dice the bell pepper and half the onions; add to the rice mixture. Place the remaining onions in a mixing bowl. Peel and dice avocado; add half to rice mixture and half to the bowl with sliced onions. 5. 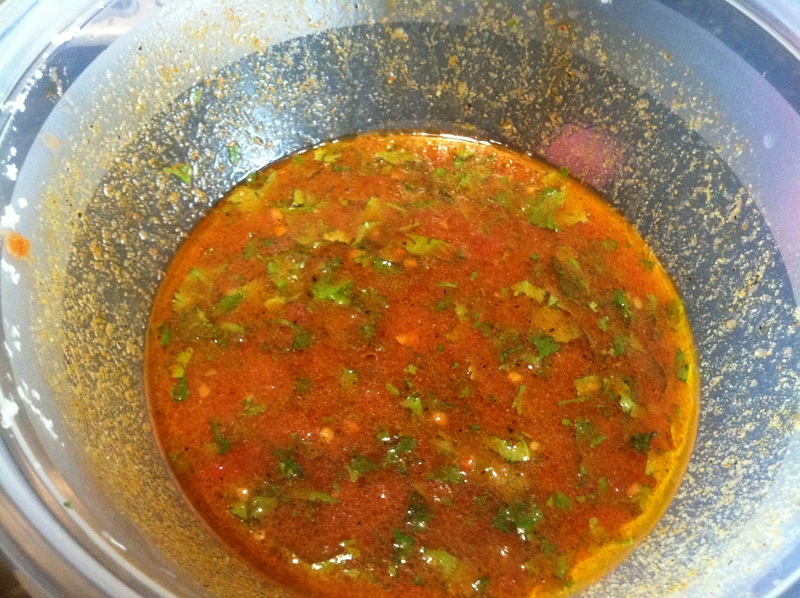 Whisk salsa, orange juice, lime juice, cilantro, oil and cumin in a small bowl. Season with salt and pepper. 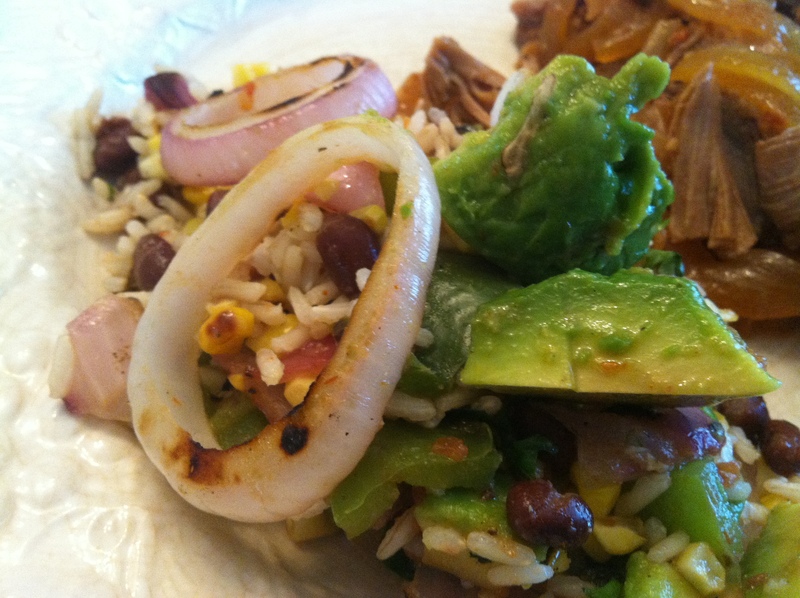 Toss 3 tablespoons of the salsa mixture with sliced onions and avocado. Toss the rest with rice mixture. 6. 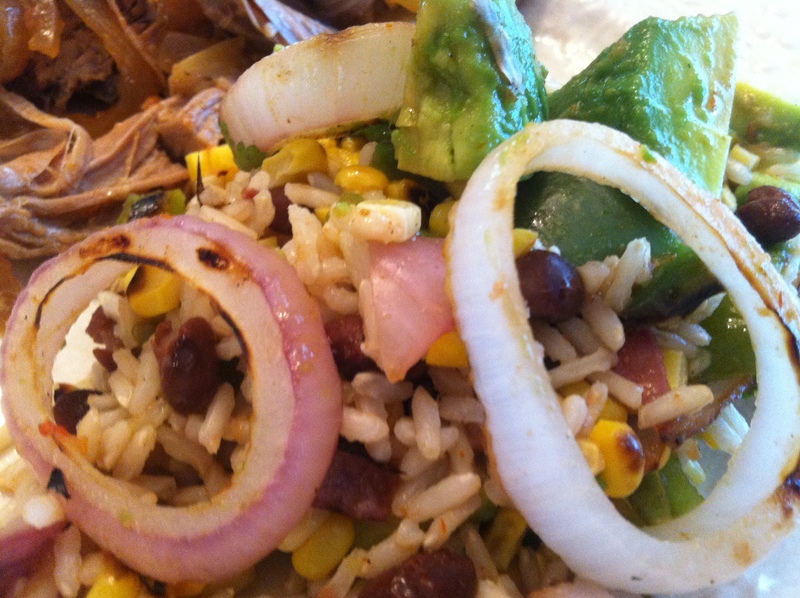 Spoon rice mixture onto a serving dish and top with onion-avocado mixture. Serve with chips, if desired. 421 calories; 11 g fat (1 g sat, 5 g mono); 0 mg cholesterol; 72 g carbohydrates; 0 g added sugars; 13 g protein; 12 g fiber; 275 mg sodium; 779 mg potassium. Looks yummy! Did you see the episode of Master Chef a few weeks ago when they grilled corn? Actually, it was one of the contestants and she had never done it before, so she didn’t know how. Long story short, the husks caught fire and I don’t think that they did well in the challenge, obviously. I was wondering how to do it properly since I’ve never grilled corn myself. Thanks for the primer! Wow this sounds awesome! Thanks so much for sharing 🙂 …I have been addicted to my grill as of late….and this will give me the next thing to go at! 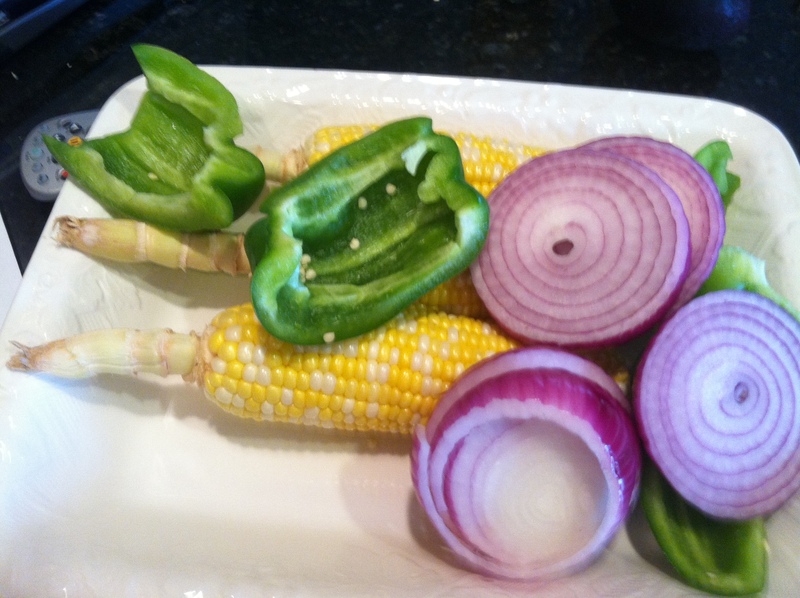 We usually boil our corn but I love the intensifying of flavour that grilled corn gets. Corn is one of my favourite summer foods. It’s winter here in New Zealand so I haven’t seen corn in months! stopped by your blog and gained 5 pounds. Thanks….yumm!!! Looks deliciuos!! We have an abundance of corn in Ontario this time of year it’s practically free, so it’s in all our meals. Wow, chargrilled flavours, tasty sauces and black bean rice. Perfect summer flavours without a doubt. We don’t actually have a BBQ on our balcony but I do have a blow torch, seriously considering getting into a husk of corn and giving it a bit of flame lovin’!